As you may know my family is always on the go, weather it is fishing, theme parks, water parks and more we go go go. Because of always being out, my kids seem to go through shoes like candy. I have had to get them playshoes and out in public shoes because of the beating they place on them. M.A.P. Footwear brand, sent me some pairs for my younger ones to test out. M.A.P. Footwear is a perfect brand for us to try as the M. A. P. stands for Motion. Adventure. and Play which is what M.A.P. Footwear is made for outdoors, play shoes that are value-driven but can uphold anything your child is capable of. My daughters each got a pair. Elizabeth my oldest was rocking the new Niagara in a Sliver/Purple. She loves the feel and color of the shoes. 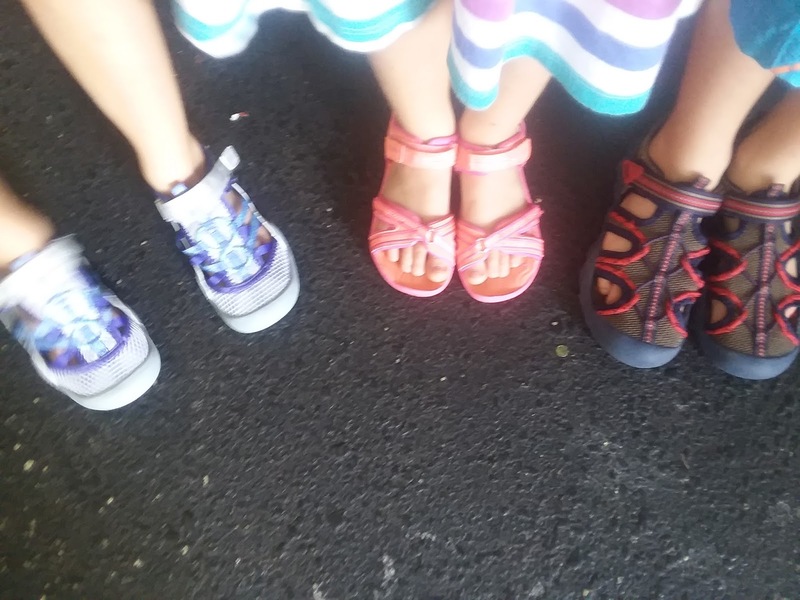 I like that they are not sandals and not sneakers so she can wear both out on a hot day or pair up with socks for a comfortable indoor play. She was happy that by the end of the day they hadn't cut up her heel like others have, which because of this I always have band-aids on hand. Sarah my youngest was rocking the new Lorna sandals which for her is great. She can get them wet, and she can get in and out of them with ease. She picked out the coral pink, which fits her personality perfect! 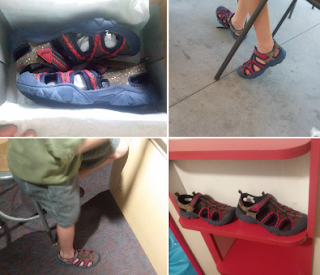 I love this style of shoe best, especially for here in FL only time my kids are found in a sneaker is normally for school and the very VERY few days of "winter" that we get. Sarah is really bad on her shoes and normally I can spot wear within a day or 2 of her wearing because she likes to drag her feet, but with the M.A.P. Footwear they were and still standing their ground. Finally my youngest boy got the Emmons in blue, Joshua is extremely picky when it comes to his shoes, so I was worried he wouldn't like them and throw a fit. Thankfully he really liked them and dare I say LOVES them. Joshua loved the color, and the feel. He has been much better about keeping his shoes safe, unlike before. I really like the color combo and they are easy for him to get on and off. They are super durable and have a thick sole which is perfect for Joshua because he seems to somehow damage all the toes on his shoes. You can check out all of M.A.P. Footwear here.